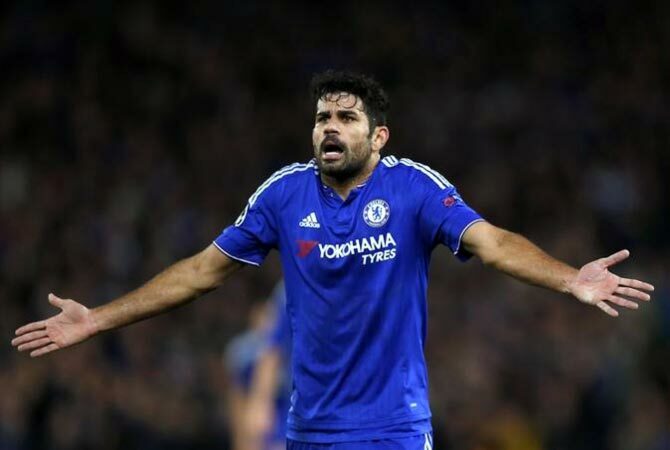 Chelsea striker Diego Costa is looking for a move away from Stamford Bridge after being told by manager Antonio Conte that the 28-year-old is not part of his plans at the Premier League club, the Spain international has said. Costa scored 20 goals in 35 league appearances in Chelsea's title-winning campaign last season amid local media speculation that he has an unfavourable relationship with the Italian manager. "Conte has sent me a message to tell me I am not in his plans for Chelsea," Costa told reporters after Spain's 2-2 draw against Colombia on Wednesday. "My relationship with the coach has been bad this season. It's a shame, but it's clear that the coach does not count on me and he does not want me there." Costa, who was at Spanish side Atletico Madrid from 2010-14, wants a move back to the La Liga club but would have to wait for their transfer ban to end next January. His hopes of playing for Spain in next year's World Cup in Russia would also depend on getting regular playing time. "Being five months without playing? I do not know, it's complicated, but people know that I love Atletico a lot and that I love to live in Madrid," Costa added. High-scoring Everton striker Romelu Lukaku has been linked with his former club Chelsea after the Belgian said he had decided where he wants to move ahead of the next season and had reached an agreement with another club.